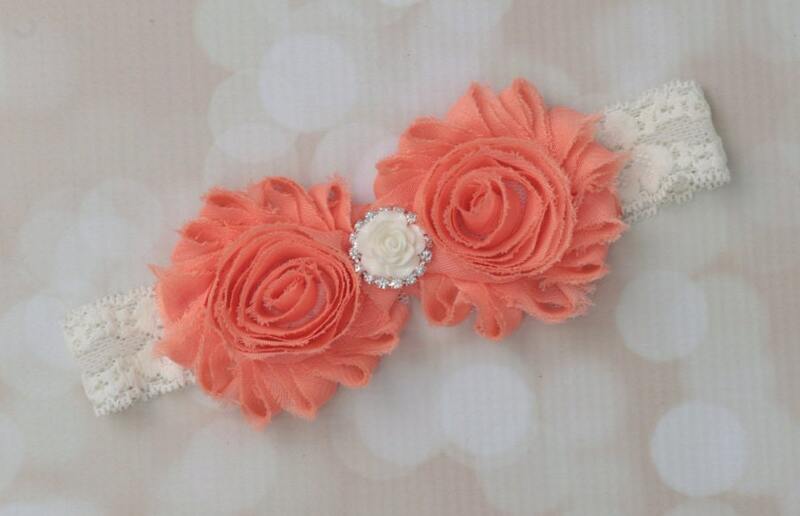 Peach and lace shabby flower headband with an ivory rose and rhinestone center. Perfect for newborn to adult! Soft stretch lace. Chose your size on checkout.